Diabetes is one of the most common diseases in the modern world. It is the leading cause of poor vision and blindness. Diabetic Macular Edema (DME), a complication of diabetes, contributes greatly to this low vision or blindness. It affects up to 50% of people diagnosed with diabetes. Diabetic Macular Edema is a sight-threatening condition that affects the retina of the eye. 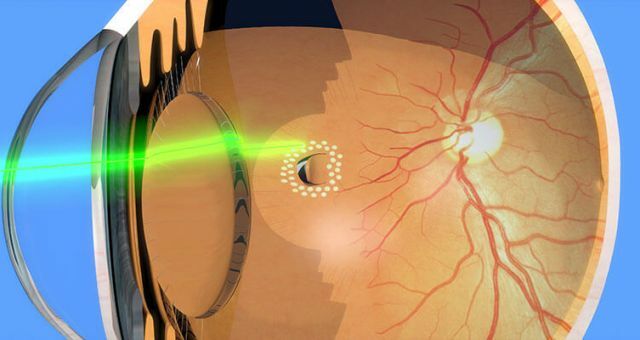 The retina is a light sensing thin layer of nerve cells located in the back of the eye. The central part of the retina is called ‘macula’ and centre of the macula is called the ‘fovea’ which is responsible for giving us fine, detailed and sharpest far and near vision. 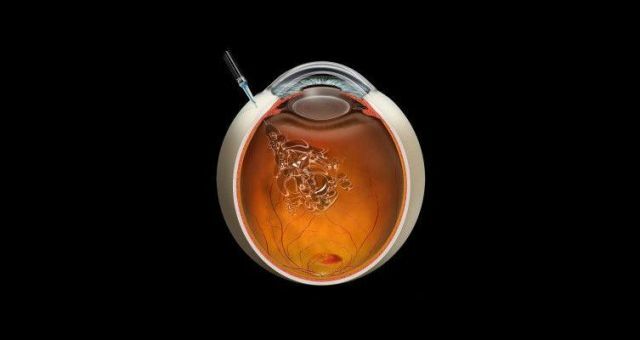 Diabetic Macular Edema is characterised by the leakage of fluid from the damaged retinal vessels into the retina. As the eye condition worsens over a period of time, it gets difficult to focus clearly. A patient with diabetic retinopathy develops this serious sight threatening condition. 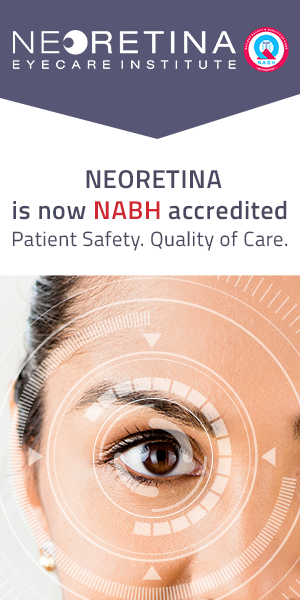 In some diabetic patients, the level of blood glucose is very high which affects the fine retinal meshwork of blood vessels and it gets leaky or damaged. This eventually affects the supply of nutrients and oxygen to the macular region of the eye. The damaged blood vessels of the retina allow blood or fluid from the bloodstream to leak into the thin retinal layer. 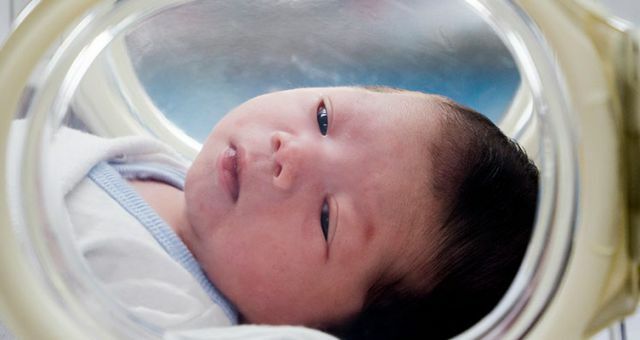 Due to fluid accumulation, the layer becomes water or fluid-logged and fails to function properly. 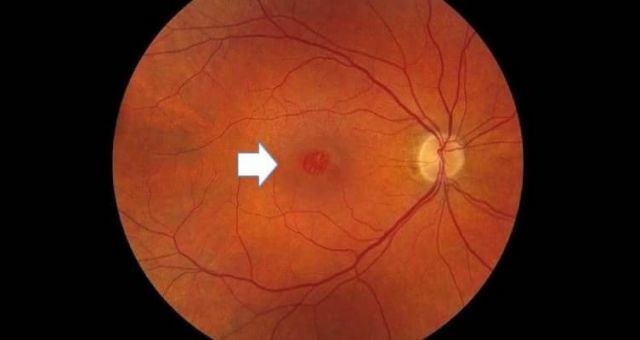 If left untreated, the blood vessels start to build pressure and cause leakage of fluid in the centre of the macula causing diabetic macular oedema. This results in macular swelling, vision impairment or blindness. This serious condition can occur at any stage of diabetic retinopathy, but it generally occurs as the disease progresses. Also, abnormal kidney function as a result of diabetic nephropathy can also increase the chances of diabetic macular oedema. Centre-involving DME: In this form, the fovea and/ or the immediate area around the central macular region is affected. 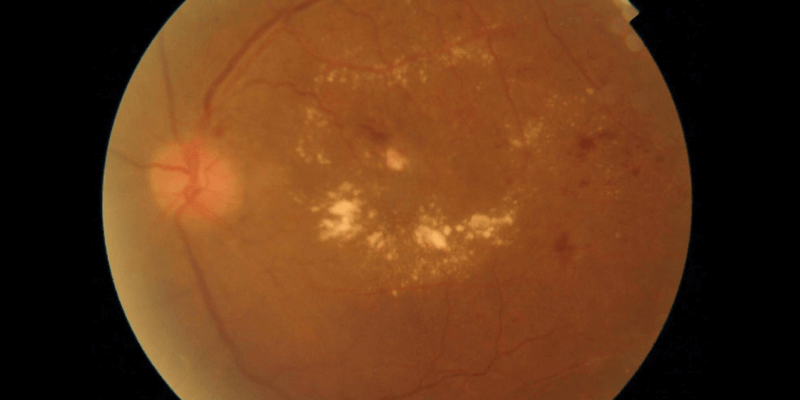 Non-centre involving DME: It is the extra-foveal diabetic macular oedema. 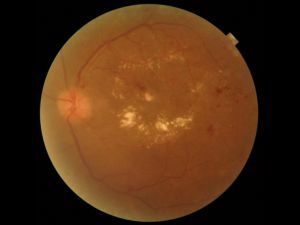 Ischaemic maculopathy: In this type, the meshwork of blood vessels of the macular area shuts down because of the high blood glucose levels in diabetic patients. Focal DME: It occurs due to the leakage of fluid resulting from abnormalities in the retinal blood vessels. Diffuse DME: When there is widening or swelling of the retinal capillaries, diffuse diabetic macular oedema occurs. In the early stages of diabetes, people do not notice any changes in the vision. The eyesight remains good if the retinal damage causes only small bulges in the blood vessels. In some cases, the blood vessels in or around the macula get damaged, or sometimes, there is a sudden leakage of fluid or bleeding into the macula. In such patients, the eyesight worsens dramatically. Subjects or objects might appear to change their color, size, shape or disappear. Figure 3. 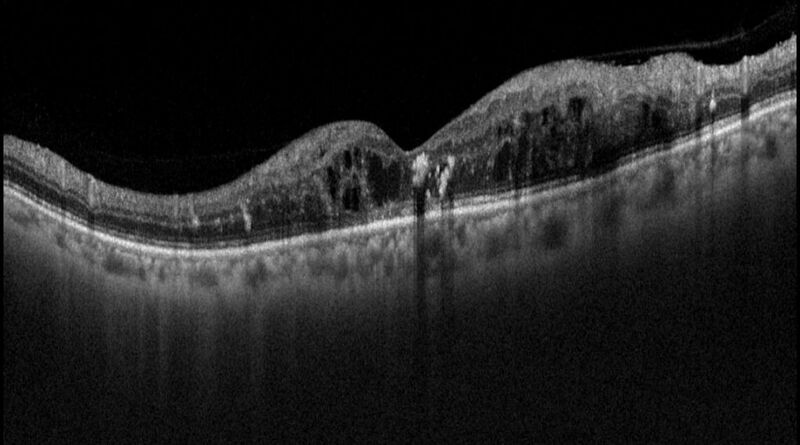 Optical Tomography Scan of a patient with diabetic macular oedema showing fluid collection in the retina. The treatment for diabetic macular oedema differs as per its type and whether fovea is involved or not. Generally, your ophthalmologist will prescribe some eye drops and intravitreal injections of anti-VEGF or steroid, if the condition involves the fovea. If the eye condition is extrafoveal, the treatment involves laser procedures to the abnormal blood vessels to stop the leakage in the macula. 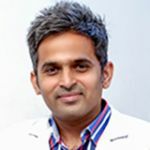 It should be noted that treatments cannot perfectly restore your eyesight if there is significant damage to the macula, especially if there is ischaemia. But, the treatment can slow down the damage rate and thus, preserve your eyesight for a longer period of time. As diabetes is usually a lifelong condition, it is essential to maintain a healthy lifestyle. Also, stable blood sugars are extremely important for a healthy vision. Also, you should monitor your blood sugar levels, blood pressure, and cholesterol to avoid damage to the eyes.